I did this project in my classroom and the children loved it! First they took a piece of yarn, “squished it up and put it in a cup”. They squeezed glue on top of the yarn and “stirred” it with their finger. I had spread parchment paper on a cookie sheet and drew circles for the children to put the yarn in. They sprinkled glitter on top and the little apples are so cute! I took the trays home and put them in the oven at 170° for an hour or so. Do these have to go in the oven? We do not have access to an oven at my school. They will probably work with just air drying, but may take a very long time to dry completely. Let us know if it works! Hi….I was just wondering do you need to put the apples in the oven….I work with preschoolers and we do not have an oven…just wondering do you think that they can dry by themselves?? They would eventually dry without the oven – try sticking them outside on a super sunny day maybe. It will just take a lot longer. Maybe over the weekend or something. Hello, I love this idea! How long did you have them in the oven during the first and second time. I don’t want to burn the apples. Thanks Olivia and you’re welcome. Your apples are adorable! This is simply adorable! 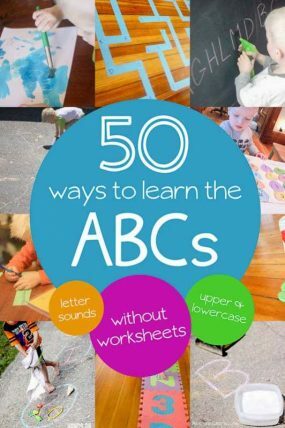 We are starting an apple unit next week and craft time is my son’s favorite….so this will be on our list!